I've had two people in my life recently who have talked with me about the troubles of night nursing. It's now been over a year since I stopped nursing Henri and even though that isn't a very long time it was incredible how much I had forgotten about the difficulties associated with that. Do you try to nurse them in bed and risk falling asleep? Do you nurse them sitting up and get no sleep? They don't like being alone in their bassinet. It's too dangerous to have them sleep in your bed. And sleep is kind of important, especially when you have a newborn! Then my friend Ally told me she found a tutorial on how to alter an IKEA Sniglar crib into a co-sleeper via Always Amanda. See above photo! Before that, I told them about this cosleeper I had found while nursing mine but both of them said bed space would be an issue. Side note: If you're planning on having kids I highly recommend splurging for the KING sized bed;-) There are other cosleepers that attach to the side of your bed but few of them are bed level so the baby still feels separate from the mother. The benefit of this is that when finished it's level with your bed but still separate from your baby. The bottom of the crib is secured to the bed with nylon straps (like the kind used to hold down roof racks). Of course when you decide to DIY your own co-sleeper you are responsible for making it safe and not an outside company so just keep that in mind when deciding to make one for yourself. But honestly, if your only alternative is co-sleeping with your baby in a bed this seems a whole heck of a lot safer to me! This set up has made things so much easier for us :) I feel like we both have our own space but are still close. 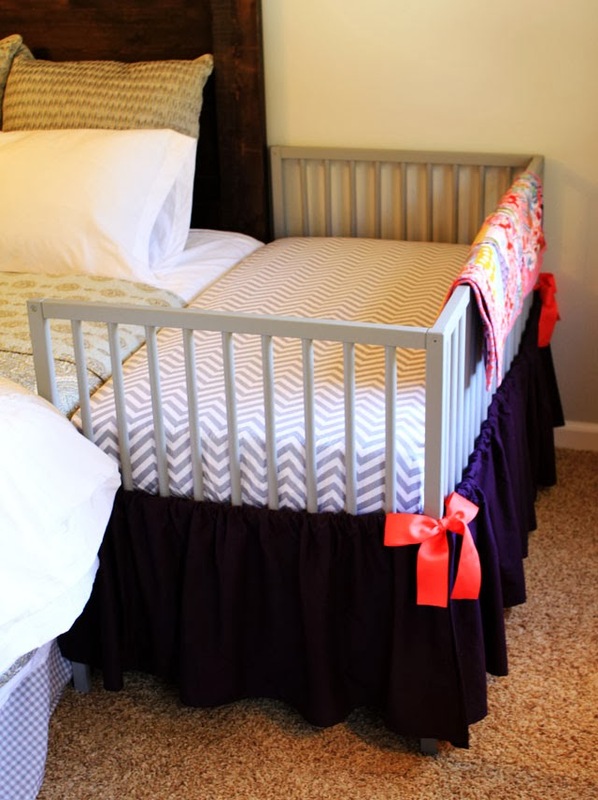 And yes, make sure you secure it to the bed to avoid any cracks between the bed mattress and the co-sleeper! We also moved the whole arrangement so the co-sleeper is against the wall too. There is nothing dangerous about co sleeping if it is done correctly and caution is taken. Mothers all over the world (and for thousands of years) sleep with their babies. It is a Western concept to use a crib. Using a co sleeper hack is fine but then you must make sure that it is securely attached to the side of the bed, otherwise the baby could fall in between if it moves at all (and those ikea cribs arent extremely heavy). I really liked this baby bed its too good to have your baby with you at the time of sleeping and this bed will also help to let the baby sleep safely.